Tired of giving your kids unhealthy, over-processed snacks? If so, you’ve come to the right place. 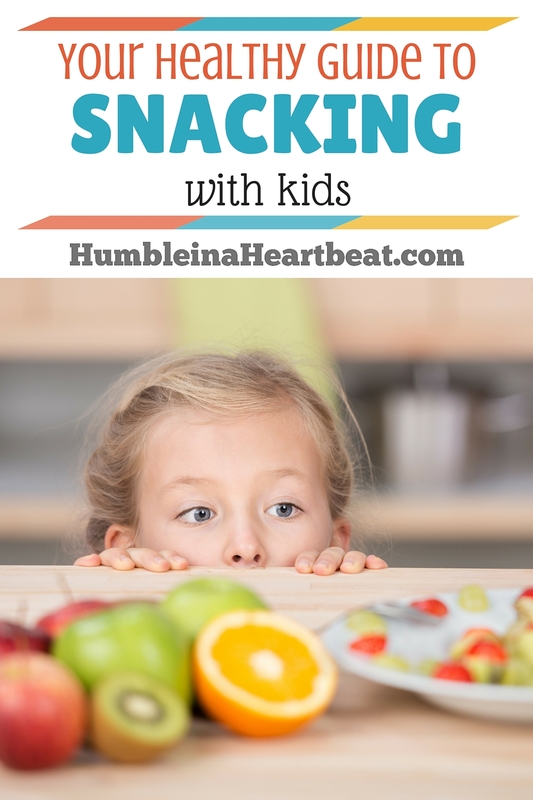 Here is your guide to successful and healthy snacking with kids! If you’ve read any of my posts about feeding kids, you know just how seriously I take healthy eating with kids. From the beginning, I have tried my best to keep processed foods out of our diets. And this includes our snacks. One of the biggest ways we fall out of healthy eating is by eating junk food for snacks. Tasty? Yes. Nutritious? Not so much. Toddlers, especially, love eating really delicious foods at snack time, and this consistent unhealthy snacking makes it rather difficult to get them to eat healthy meals. Every so often, like pretty much this whole month, we fall off the train and start eating foods that just aren’t great for us. I blame it on the people who bring treats over to our house and then leave them here…to torture us. I have no willpower. Can you tell? We need a food intervention! And quick! This works for our family and it’s been like this for years. Even when my girls were just a year old we were on this schedule. Snack time has always been just once a day for us. Shocking? Maybe. But I’ve never had a problem with either one of my girls asking for food outside of our meal times. They also are always gaining weight and growing taller at each doctor visit, so I have no concerns there either. Having a snack just once a day probably won’t work for everyone. Some kids really do need to gain weight and the only way to do that is with two snacks a day. Although, I would argue that perhaps the child isn’t gaining weight because the only foods they are willing to eat are during snack time, when the food is much more tasty, and unhealthy, than the other meals. One snack a day may not be enough for your child, but I’d say that two snacks a day should be sufficient, especially if you do the first snack time in between breakfast and lunch. There are several very good reasons for keeping snack time to just once a day. You can read all about them in Kids and Food: The Snacking Rule. My biggest rule for snack time is this: the food we eat should be healthy, natural, and delicious. Obviously, lately we haven’t been sticking to this rule, but most of the time our snacks are absolutely nutritious. For kids, snacks are a very important “meal” in their day. Snacks can often fulfill dietary needs that may have been left out of other meals. For example, we almost always eat some kind of fruit during snack time because we usually don’t have any for lunch. But we almost always eat fruit with breakfast and more recently with dinner. Our snacks help us all get more fruit into our bodies. If you treat snack time like a regular meal and realize that it can be a great way for your child to get more healthy foods in, it will be a no-brainer to completely leave out the highly-processed, overly-sugared and -salty foods. 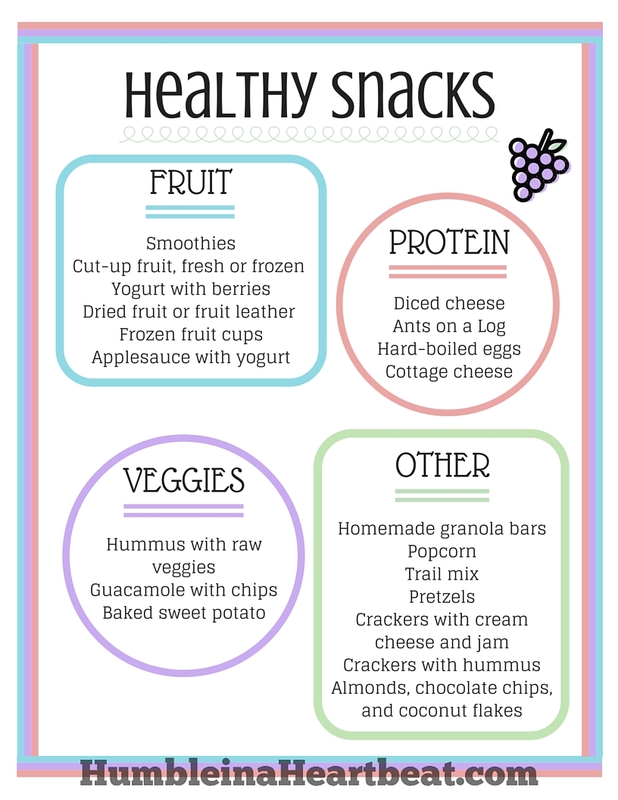 Would you like some healthy and delicious snack ideas to start replacing the fruit snacks and goldfish crackers? The following list of snack ideas are easy peasy to pull together. A lot of these foods are those that we normally eat for our snack time. We often stick to fruit for one part of the snack and then add something else from this list. Try to incorporate a protein most of the time as well since that will keep your child full for longer. 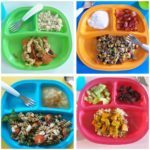 I wrote a post about sources of protein that you can reference if you aren’t sure what your child can eat to get more protein. 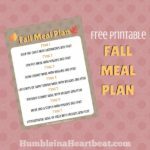 Sign up below for a free printable list of these healthy snacks! 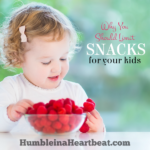 If you haven’t been in the habit of doing a specific snack time with your child and you’d like to start now, you may want to take things slow at first. 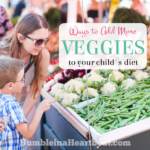 Especially if your child is used to snacking on junk food, it’s going to be a rough few days and possibly weeks until they learn that snack time is a time for eating good food. If, on the other hand, you have a baby right now and haven’t started doing regular snack times, start them while your child is young. I believe 12 months is a great age to start. And make sure you are consistent with the time since your child’s body will start to become hungry around that same time each day if you do. I would encourage you to sit down with your kids during snack time and eat with them. 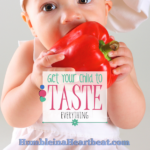 This will be a great way to help your pickier child to eat foods that they may not normally associate with snack. If you are eating the snack, they are much more likely to eat it themselves. Speaking of sitting down, this is an important part of any meal. A child will eat much better if they are sitting in a chair than if they are given a food and can freely roam the house. Avoid making cutesy snacks. You know what I’m talking about. These kinds of snacks and meals are all over Pinterest. While these are fun and can make a kid smile, they aren’t practical. If you expect your child to one day eat food without it being cutesy, then don’t start making it for them in the first place. Besides, I’m sure you have more important things to do in your day. If you have to be in the car during snack time, consider changing snack time so it can be eaten at the table. Otherwise, make sure that the snacks you give your child in the car are not going to become a choking hazard. It would also be wise to give your child foods that are easy to eat so you don’t have to reach back to help them while you are driving. When deciding what time you want to do snack, make sure that it is at least one hour or more before your next meal. If we were to do two snacks each day, our first snack would likely be around 10 AM since that is a good two hours before lunch. 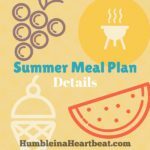 Finally, although you should consider snack time a “meal” in that it should be healthy just like any other meal, try not to go overboard and feed your child until they are full. Something light is always better than filling your child up. Snacks should be an important part of your child’s diet each day. If they aren’t, consider taking baby steps to get there and give your kids what their bodies need. There are so many foods that are both healthy and delicious! What do you feed your kids for snack? A lot of times snack is homemade cookies (Mel’s Kitchen Cafe * Chocolate Chip Peanut Butter and Oatmeal cookies has nutrition and curbs the hunger til I make dinner)! We used to snack 2x a day but it definitely does mess with a kid’s level of hunger at mealtimes!